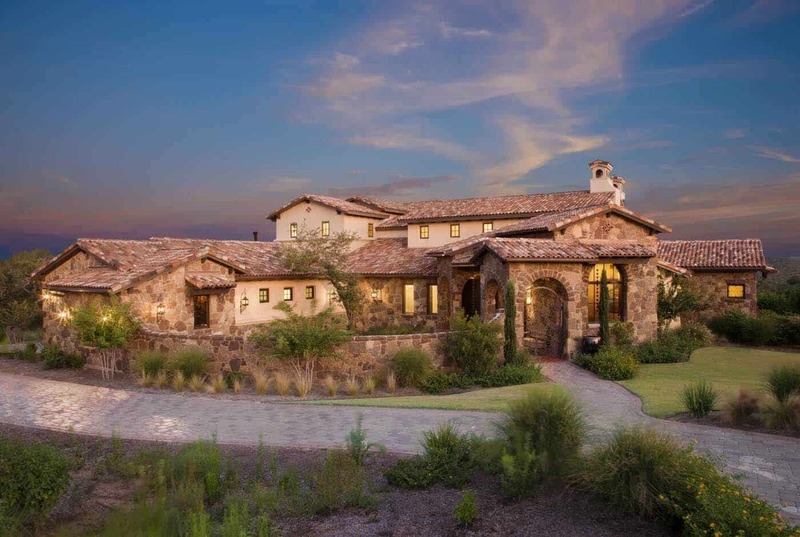 This Mediterranean style home was designed by custom builder John Siemering Homes, located in the beautiful gated community of Spanish Oaks in Austin, Texas. 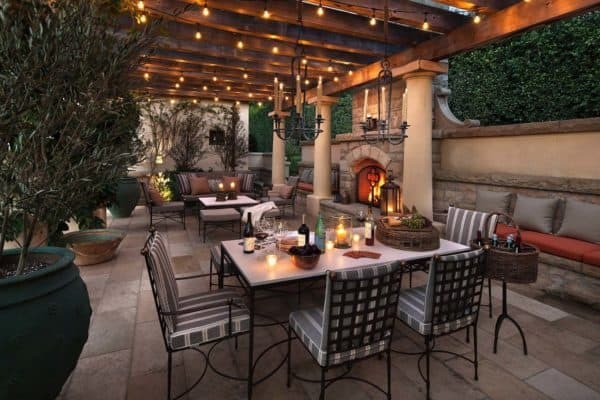 Nestled on an acre of property, this impressive home features exquisite craftsmanship. 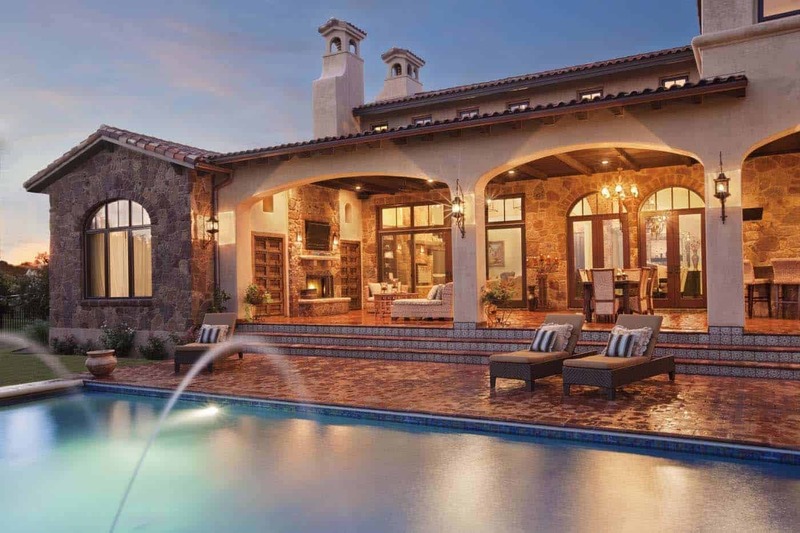 The Mediterranean style architecture creates a timeless old world feel thanks to an abundance of stonework, arches, and uniquely framed windows. 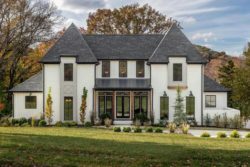 The stunning exterior was handcrafted using a three color sandstone blend, integrated stucco and a hand blended clay tile roof. 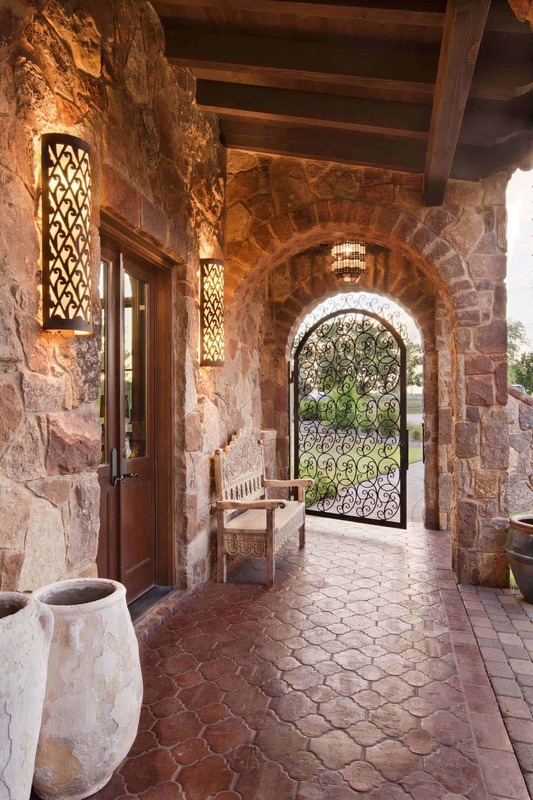 An iron entry gate leads to an arched walkway with an antique wood double front door. 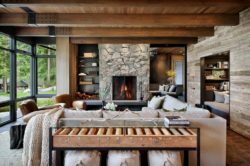 This home features vaulted ceilings, interior stone work, wood floors and antique Douglas fir beams throughout. 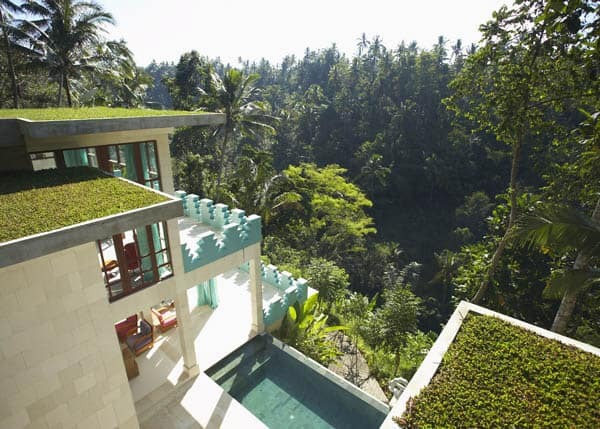 What We Love: This beautiful old world hacienda features gorgeous living spaces both indoors and out. 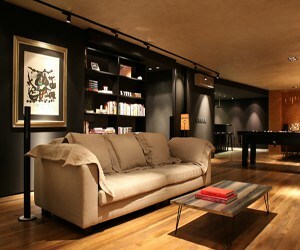 The old world design creates a warm and inviting atmosphere that is simply divine. 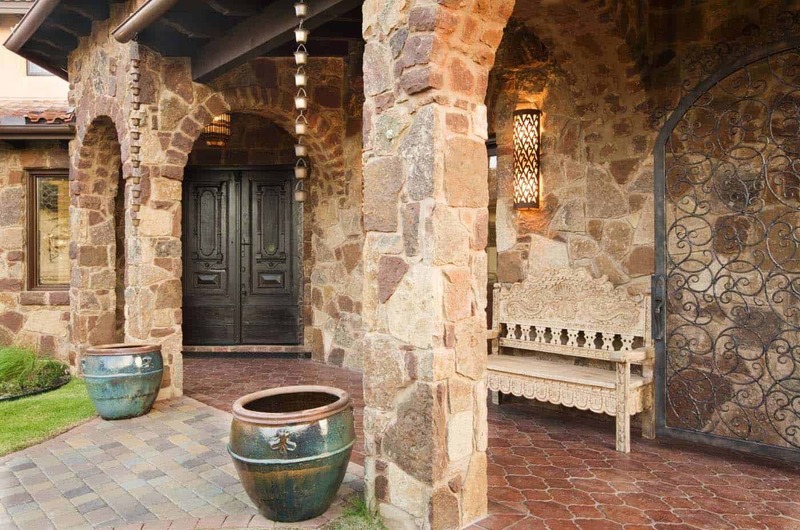 The stone on the exterior entryway welcomes visitors into this home, through gorgeous wood doors. 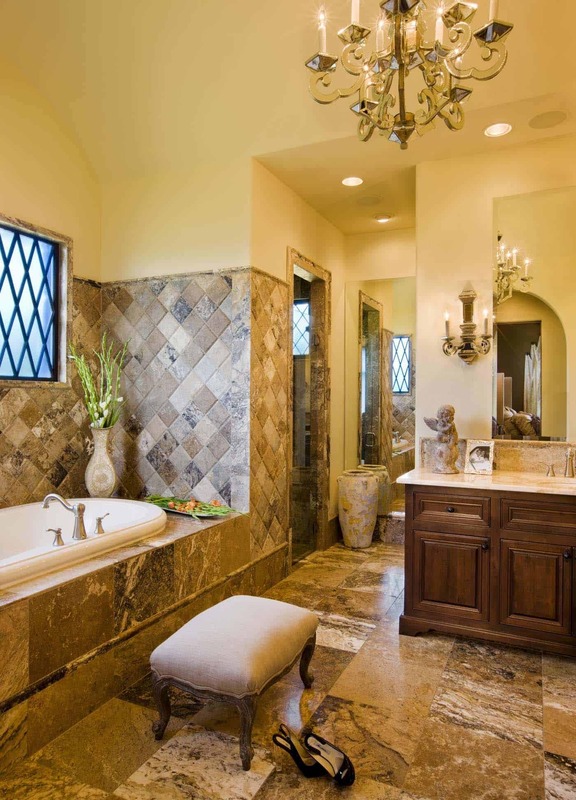 Even the light fixtures in this home are exquisite… but we especially love the master bedroom, it is so luxurious and decadent… Readers, how about you, what do you think of the overall design of this home? Please tell us in the Comments! 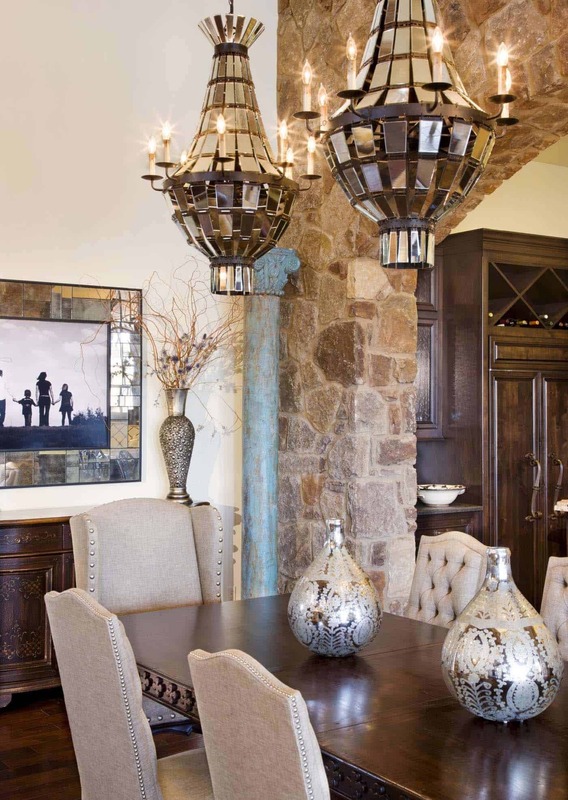 Note: Have a look at a couple of our favorite home tours that we have featured here on One Kindesign from the portfolio of John Siemering Homes: Fabulous contemporary twist on the traditional Texas farmhouse and Mediterranean-inspired home meets Texas Hill Country modern. 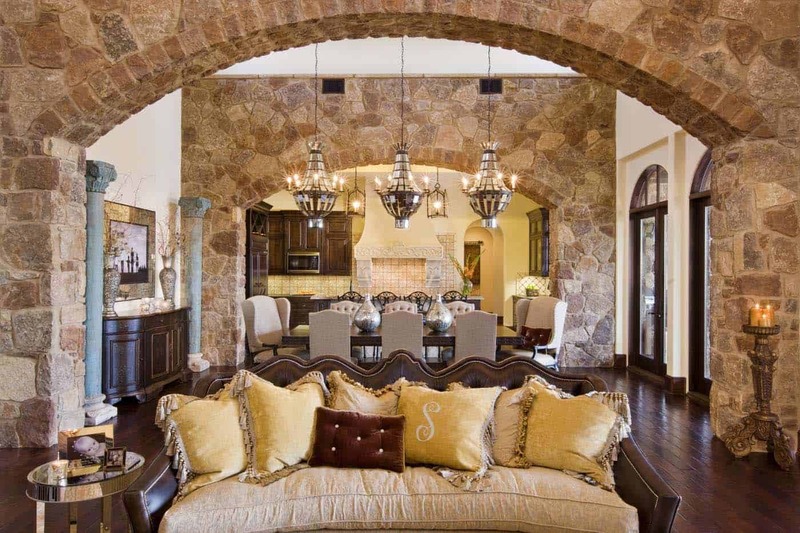 Above: The open living, dining and kitchen area transports to another era with the stunning custom stone archways defining each section of the open floor plan. 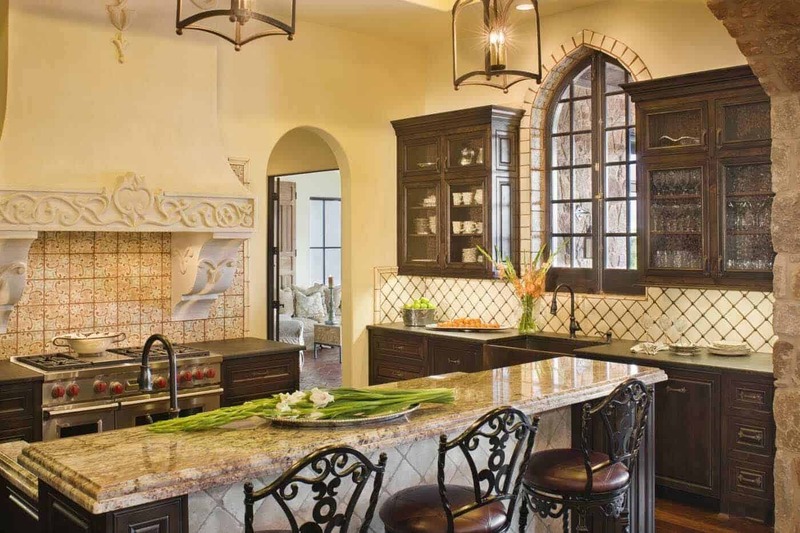 Above: The gourmet kitchen boasts dark wood cabinetry, a custom carved stone vent hood and a hand painted clay tile backsplash. 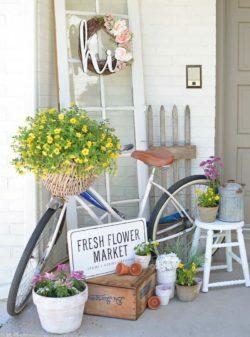 One of the most interesting features of the home is the arched antique door dating from the 1700s which was converted into a window overlooking the kitchen sink. Above: The master bedroom evokes luxury and sophistication with the high coffered ceiling, dramatic arched window, and candlelight wall sconces. 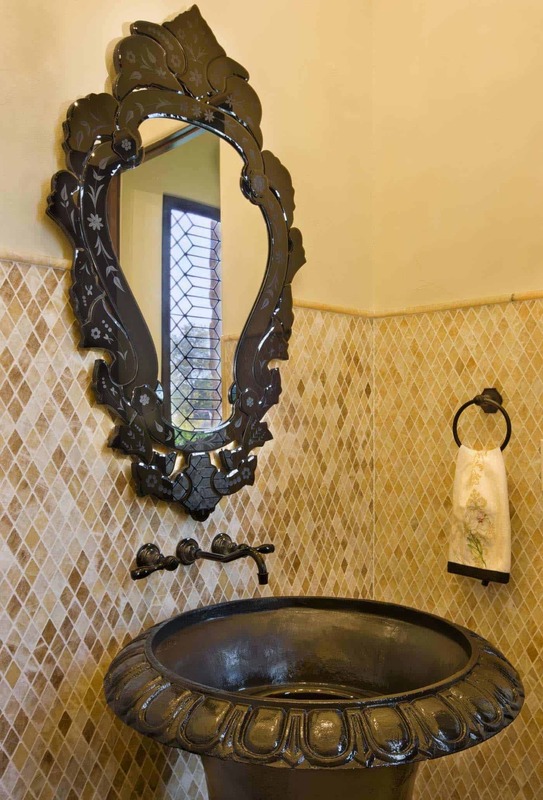 The old world theme continues in the bathrooms with custom cabinetry, unique tiles and antique fixtures and finishes. 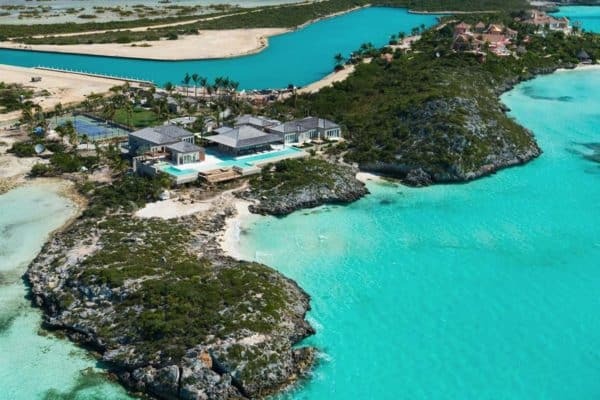 Above: The fully appointed covered outdoor living area contains plenty of outdoor dining and seating options with a fireplace and kitchen overlooking the pool and fountains. 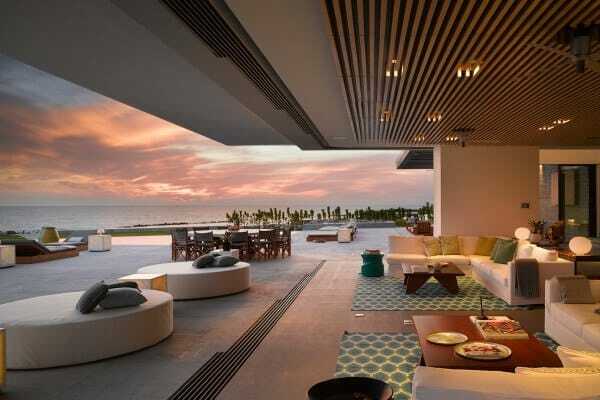 Handmade Mexican Saltillo tile ties the patio and pool deck in with the design and architecture of the home.